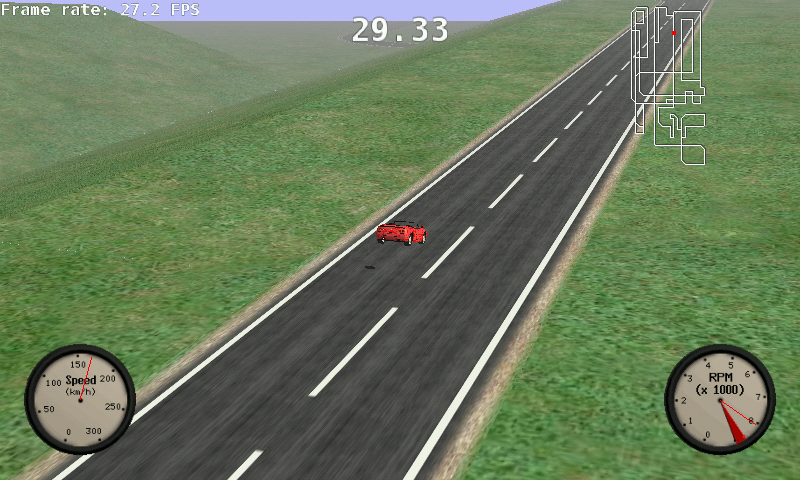 Ultimate Stunts is a remake of the famous DOS-game stunts. 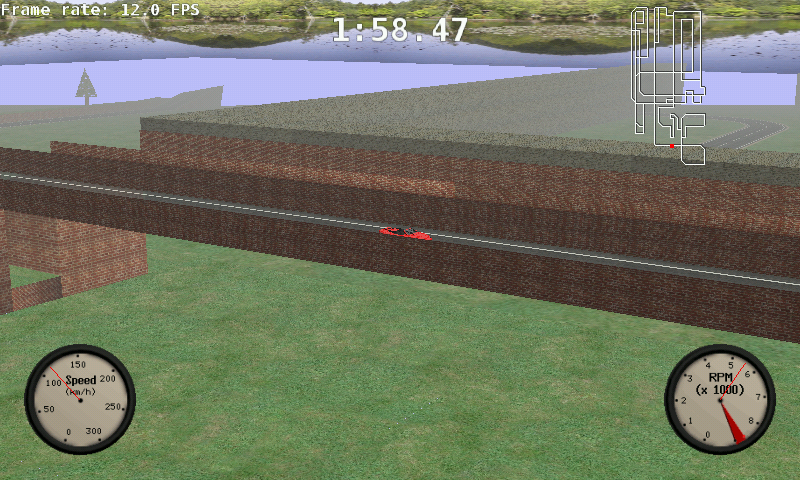 Racing in Ultimate Stunts involves some really spectacular stunts, like loopings, corkscrews, bridges to jump over, etc., but the best thing is that you can design your own tracks! The game Ultimate Stunts is not yet finished, but it already has some important improvements compared to the original game. 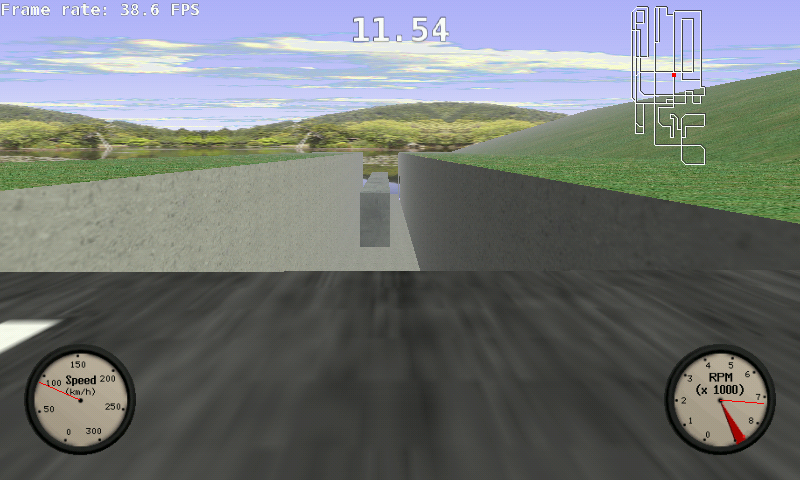 Stunts was an old DOS game with simple CGA/EGA/VGA graphics, but Ultimate Stunts is a modern multiplatform application (it works on windows, Linux and several UNIX systems) with OpenGL graphics. 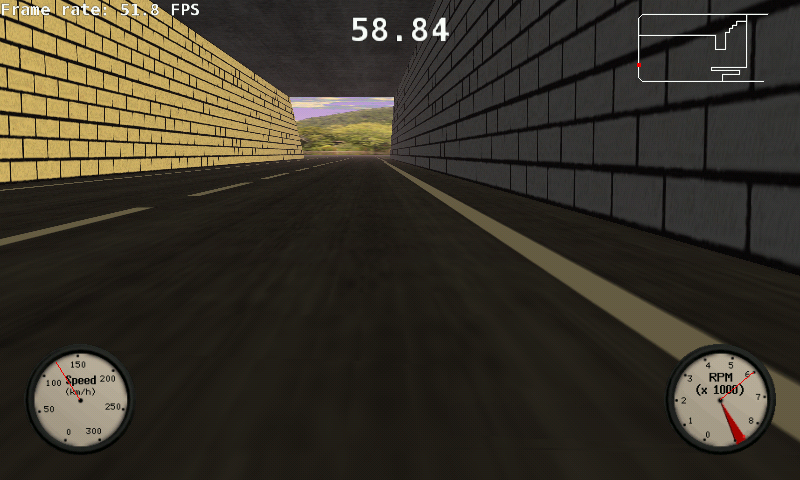 It also has some new features, like 3D sound and (internet) multiplaying. 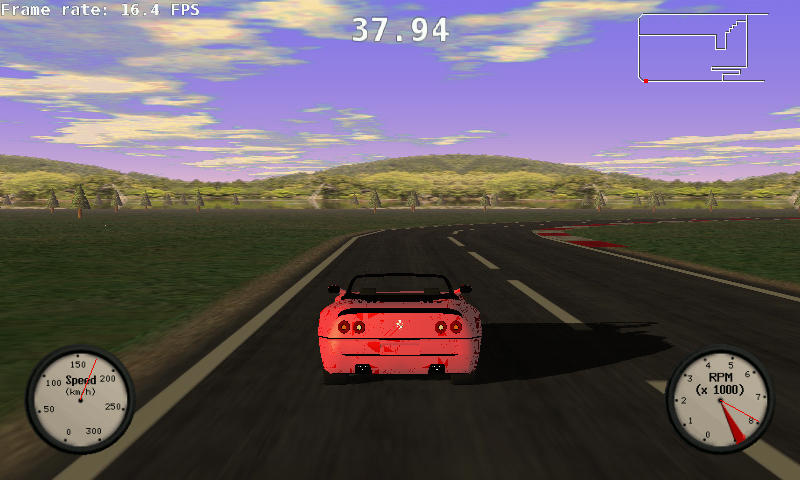 And Ultimate Stunts is completely free software! Here is Ultimate Stunts, an Open Source remake of the old Dos game Stunts. This game use glshim, and was one the first game I tried to port (along with Scorched Earth 3D). I had a GLES port of it for a long time, but the speed was not good enough, than I tried with glshim, but it was not much better. Now, with the improvement in the Batch mode (trying to batch call, especially inside glLists), and newer compiler, I got much better Framerates. I removed Dynamic Reflection (too much drawing for that), and made the Shadow an option. It's disabled by default, but you can activate it by selecting Shadow size > 32 in the graphics options (Shadow is only advised on Gigahertz model). Other important parameter are in simulation, both dtMin and NMax are important and it took me a lot of time (many hours) to try find a good balance between performances and accuracy. 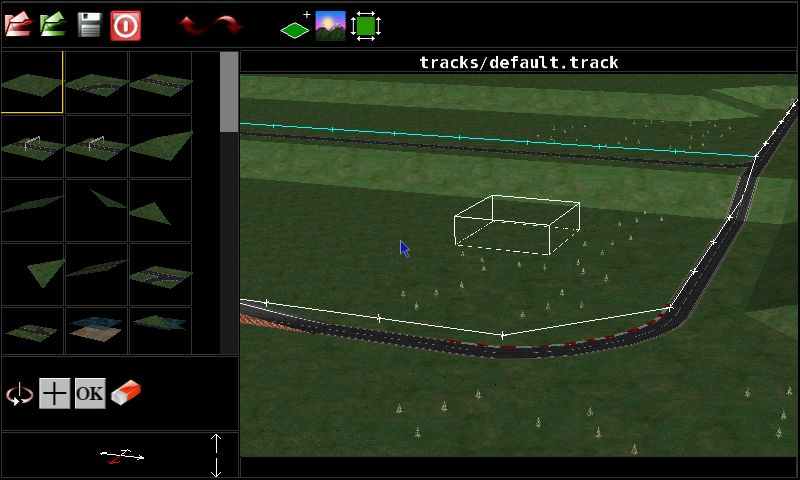 The Track Editor seems to work too, but I have not really tried it. Defaut keymaping is DPad left/right to turn, (X) to accelerate and (B) for brake. Also (L) change Camera. But all can be changed in menu. Also, in appdata/ultimatestunts are the left_nub and right_nub file if you want to activate Joystick (it should work but I didn't tried). The physics in this game feels awkward, and the steering is never tight enough. You seem to always turn at a constant rate, regardless of speed or how long the key was held. Crashing always kills you, even if you just lightly graze a surface, but the kind of surface that kills you is inconsistent.